1. Apron for a variety of aircraft aircraft model enthusiasts use. 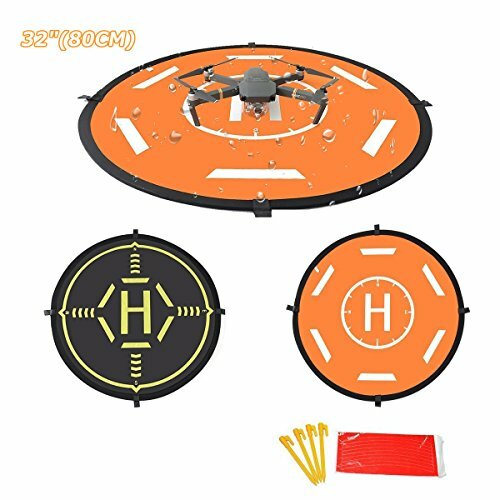 80CM in diameter, suitable for all kinds of mainstream UAV. 2. Because it is a folding design, the internal installation of the spring device, when you open it, please be careful to avoid suddenly open to hurt themselves. 3. When you put away the apron, please refer to the steps described in our picture to operate, you will find this process is very simple and effort. 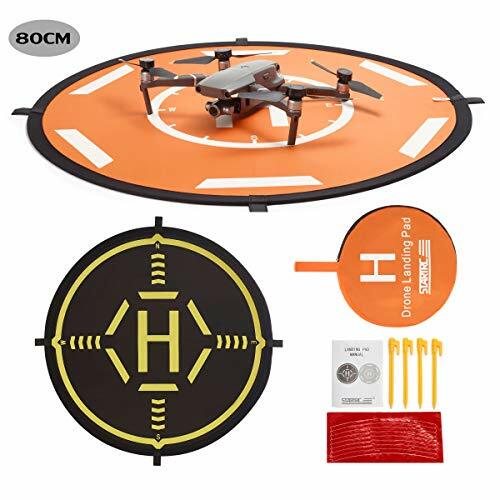 STARTRC Fast-Fold portable landing pad for RC drones FPC quadcopter helicopter is made of high-quality wareproof nylon material. 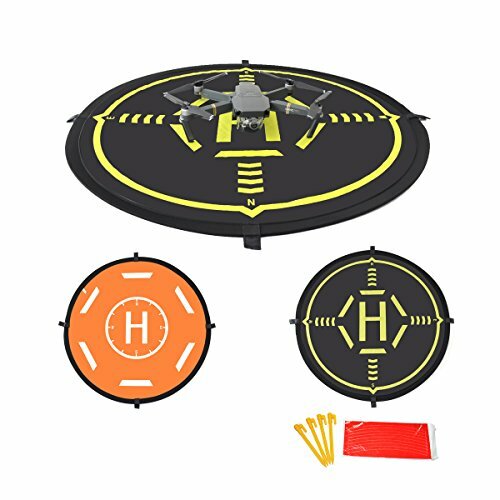 The light and portable drone landing pad is designed to fold and unfold conveniently. 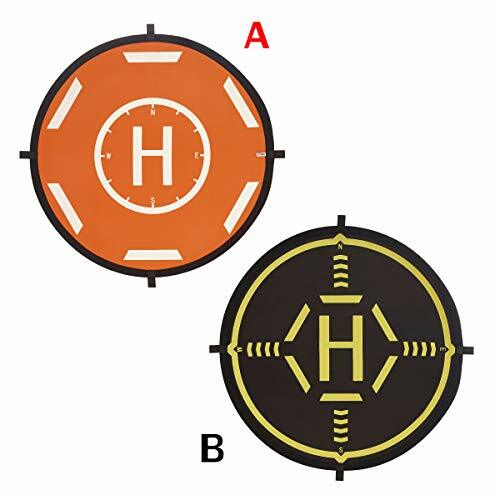 Both sides can be used in turn. The exquisite and durable landing pad provides a perfect landing platform for your drones, keeping dirt away from your drones and protecting your drones from any possible scratch or scrape. 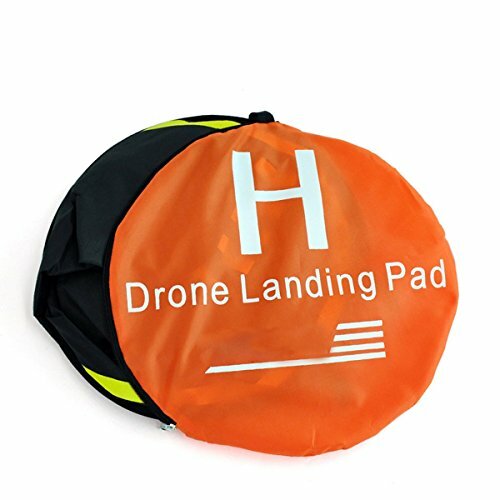 Landing pad dimnesion: 32" X 32"
Use for DJI Mavic PRO / Mavic Pro Platinum /SPARK/Phantom 3 Phantom 4 Inspire 1 or other quadcopter(NOT INCLUDED THE DRONE) Portable aprons can be used at any time and quickly for your drone to create a suitable landing site, to avoid the bad ground damage your drone. (Fast folding usually only need 30S to complete the retractable) The use of waterproof material design, anti-stains, easy to clean up. Both positive and negative can be used, stylish design cool appearance. Added luminous reflection function. Even in the case of low light at night, you can accurately find the location of the apron. 4 dedicated fixed fixture will be fixed on the ground in the apron, will not be blown away by the wind.